Two nights in a row I watched a couple of documentaries that just happened to be at the library. Both tell the story of brilliant men who dropped out society in very singular ways. 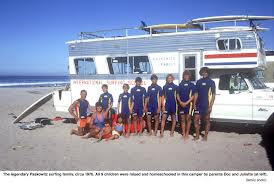 The first one is called Surfwise which is the story of the Paskowitz family, 8 boys and one girl, who grew up traveling from surf town to surf town in a 24 foot camper. The father, Dorian Paskowitz, believed that the best education for these children was to learn to surf, read, and basically drop out of regular society. He did not think that his children need be concerned about material things or going to school. In the first part of the documentary you think, while the father is weird, he really seems to be in touch with the elemental qualities of life, and his children seem pretty amazing, their mother saint-like, beautiful, and peaceful, and this way of raising a family is a good one. But then as the story progresses the filmmakers start to reveal the underbelly of family life and you learn that as adults these Paskowitz’s end up pretty screwed up by the father’s controlling and sometimes abusive behavior and that most of the 9 children struggled as adults. Searching for Sugar Man tells of another man and father who lives simply despite great talent and fame. 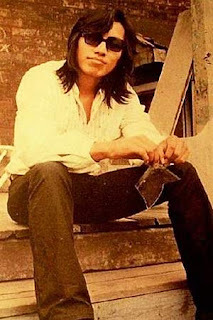 The 70's musician Rodriguez, never had financial success as an artist and stopped making and performing music (a very talented singer song writer with a sweet voice). Instead he did construction and raised three daughters in poverty in Detroit. Meanwhile, in South Africa, he was a huge success. The movie tells about the story of a handful of South Africans who try to find out the story of Rodriguez even though they believe him to be dead. When we get to know a little bit about the enigmatic Rodriguez, we learn that he still lives in a run-down neighborhood of Detroit in a very modest house even though in the end he finally has resources, and he seems to have raised three lovely daughters who share his diffident and humble manner. If I had to choose between these two fathers, I would definitely pick Rodriguez.